After early pressure from Unity, the deadlock was broken by a try from debutant winger Daniel Maymond, before adding his second after sprinting the entire length of the pitch. Unity then withstood a large amount of pressure from the away team, with both forwards and backs demonstrating fearless tackles and commitment for their team mates. Thomas Wooller was then able to touch down between the posts, allowing Ben Uttley to score the conversion. Maricourt fought back however, securing their own try just before half time. In the second half, another blistering run from Daniel Maymond saw him secure his hat trick and allow captain Matas Zalieckas to convert the following kick. Maricourt, however, refused to give up and utilised their strength to score their second try late in the first half. The Unity team, made of both experienced players and those new to the game, dug deep to see out the remainder of the game and finish 24-10. The unity, passion and respect demonstrated by each and every player was a credit to see and they eagerly await their next round draw. 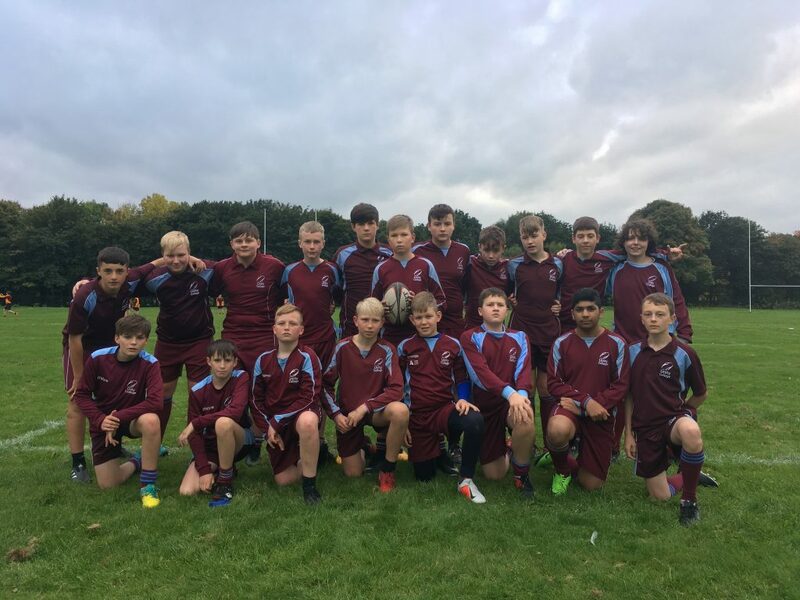 Team (back row, left to right) Callum Halstead, Louie Murgatroyd, Liam Jones, Cameron Tregay, Will Swales, Matas Zalieckas, Nat Stephenson, Brandon Harvey, Nathan Ellis-Greenwood, Tom Wooller, Daniel Colton (front row, left to right) Jack Uttley, Ben Uttley, Alfie Marsden, Mykolas Zalieckas, Andrew Ramsden, Isaac Marshall, Adil Imran, Jack Orr.